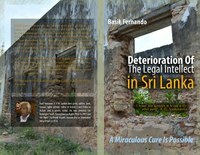 ( June 16, 2015 – Hong Kong ) We are sharing with you, the most recent publication of AHRC, entitled: Deterioration of the Legal Intellect in Sri Lanka – A Miraculous Cure is Possible. It is a collection of recently published articles written by Basil Fernando, on problems of the Sri Lankan Justice System-i.e. Police, prosecutors and judicial system, which obstruct democracy and rule of law. Author suggests some basic changes that that may help to resolve these problems. 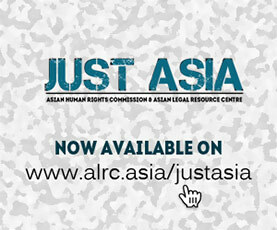 For orders and enquiries: Email ahrc@ahrc.asia or call +(852) 2698 6339.